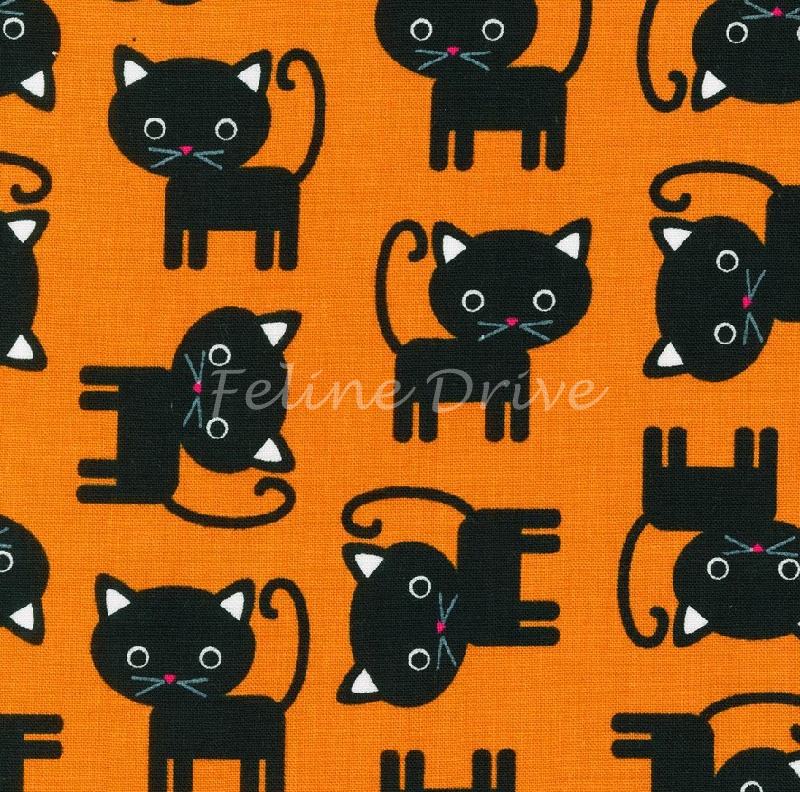 Ann Kelle's designs have been described as simple, sweet, and sassy, and these kitties exactly fit that description. 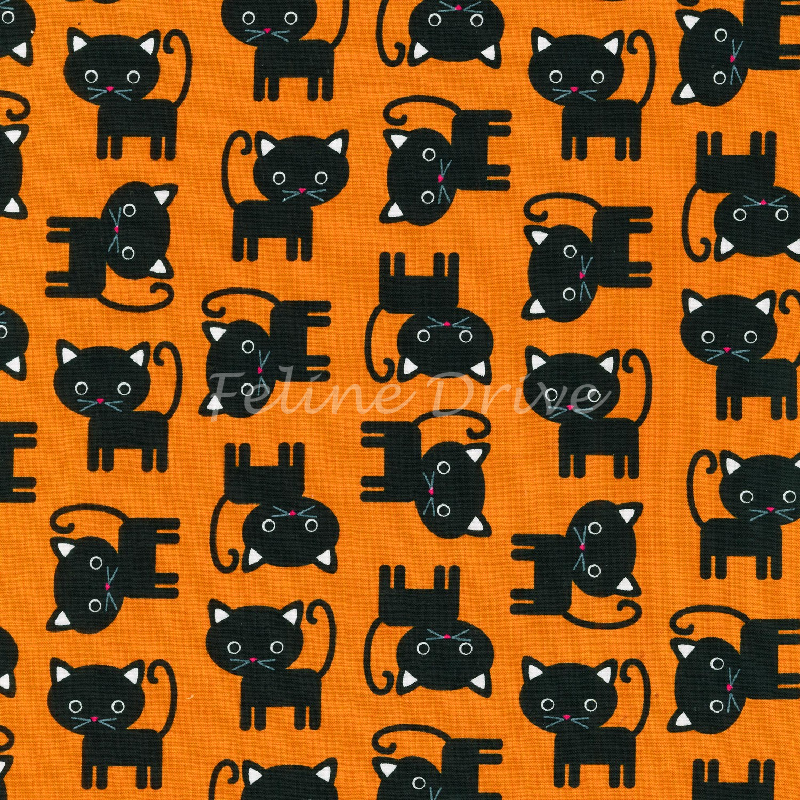 The black kitties on a bright orange background also make this a great Halloween fabric! Print Size:Cats are approximately 1.5" long/tall.